Invasive Alien Species - can we predict their ecological impacts? 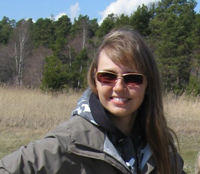 Research Interests: Evolutionary ecology of sexual and asexual reproduction, analysis and management of animal populations, evolution of reproductive and social strategies, sustainability science. More information will follow regarding Hanna's seminar.